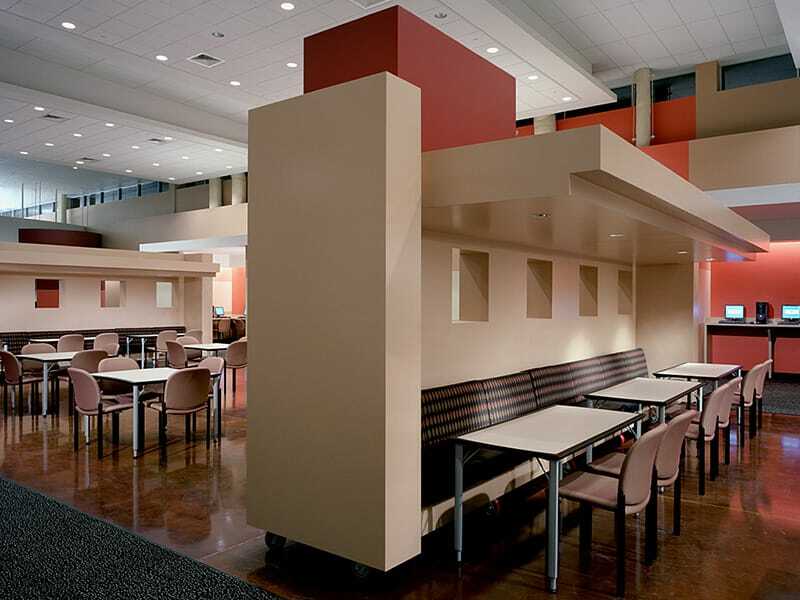 Gilbane served as construction manager at-risk on this 200-acre community college project. In response to changing demographics, the six building campus caters not just to traditional college students, but also to the entire adult population, their families, and the surrounding community. 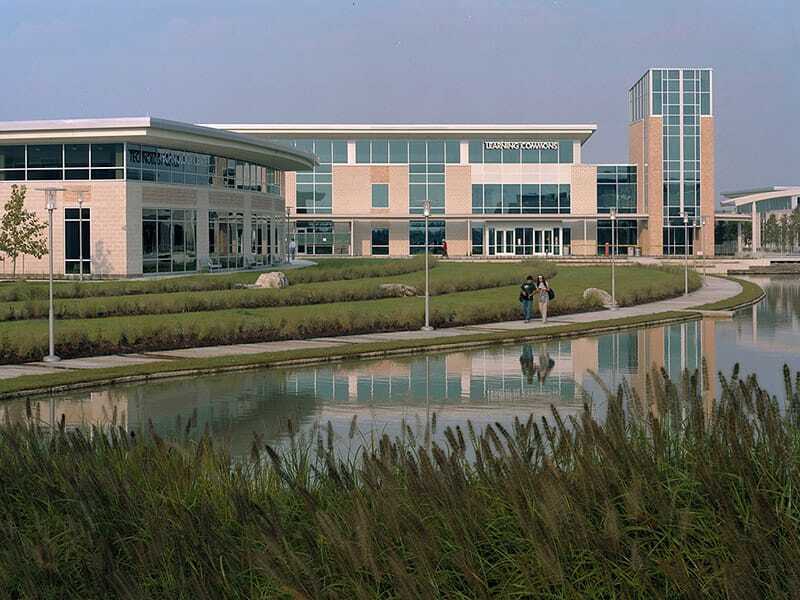 The Cy-Fair College campus creates an aesthetically-inspiring, environmentally sustainable, and educational campus environment by incorporating 18 acres of lakes and ponds, as well as restored natural land from the Katy Prairie. Five academic buildings, strikingly fronted by lakes, are connected by a covered walkway. The campus is full of pedestrian paths and parking for easy access to each building and various parts of the college. Classrooms were designed to be highly flexible and can be easily reconfigured to accommodate a variety of learning activities. To foster collaborative learning and to encourage students to use the campus as a learning environment, spaces designed for informal meeting and study groups populate the campus. The college opened with an estimated 7,000 students and that number is expected to eventually double. The technology building features an advanced technology center for computer-assisted manufacturing and a teaching studio of the future. 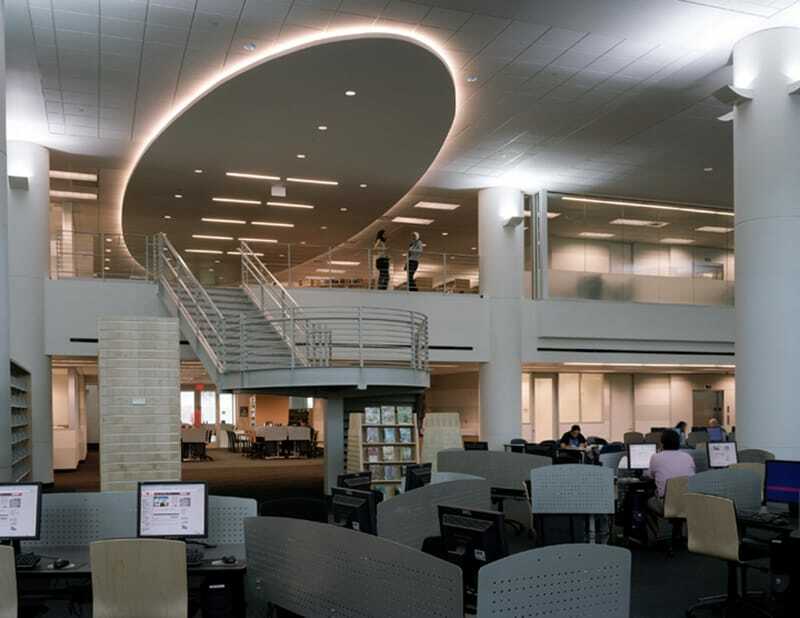 The learning commons combines the college library and learning center with a full branch library. 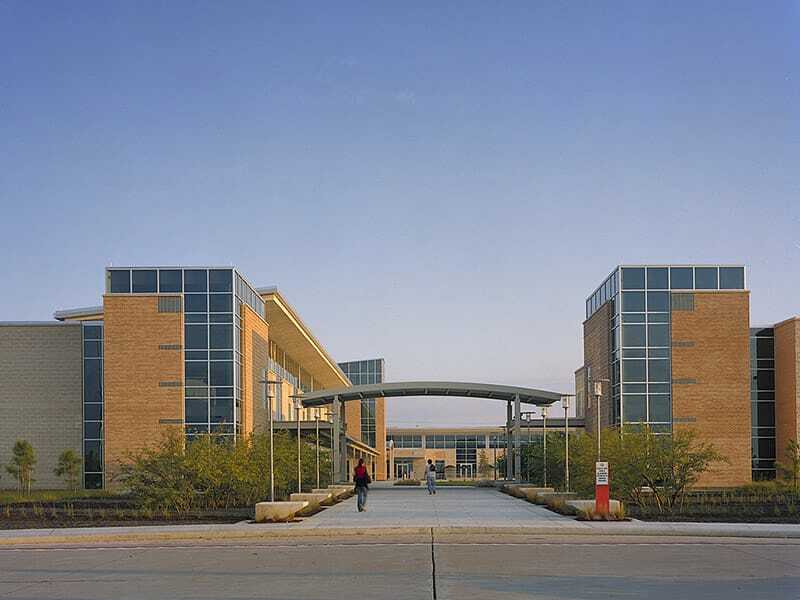 Other amenities include a fine arts and performing arts facility; a student center with a community conference center, student fitness center, dance studio, and food court; and sports facilities such as a soccer field, a softball field, tennis courts, and a covered basketball pavilion.